Durango, Colorado offers a different experience every time you visit! 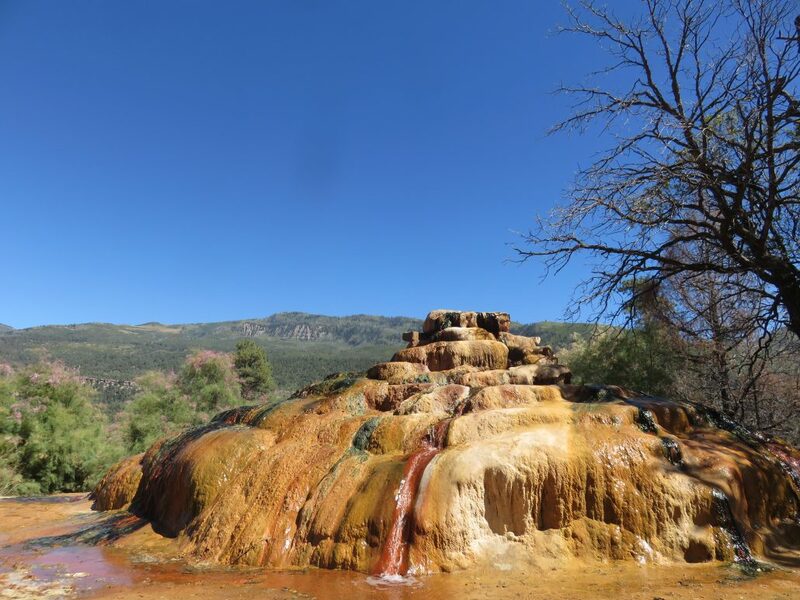 Named as one of the best destinations in Colorado, Durango provides plenty of outdoor adventures no matter what the season. The town of Durango was founded by the extension of the railroads during the 1880s. With the Durango & Silverton rail system still in operation today, you can take a ride back into history then venture out to the Mesa Verde ruins to capture two very different historical depictions of the old west. 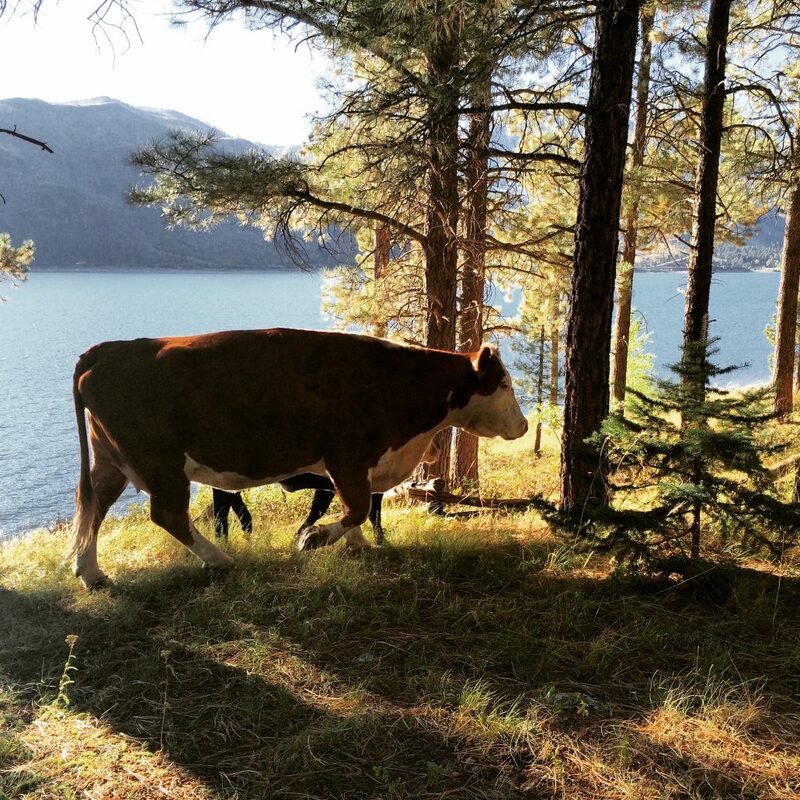 Durango and the areas surrounding it, have picturesque scenery year-round. By foot, raft, train, ski, or zipline, the view will not disappoint. 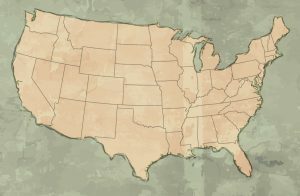 Located in the southwest corner of Colorado, Durango is surrounded by Mesa Verde National Park, Lake Vallecito, San Juan National Forest, Silverton, and several ski destinations. 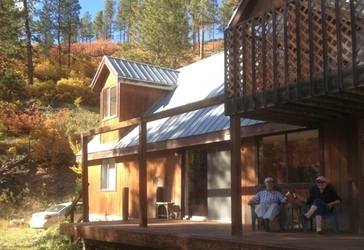 In Durango, there are cozy cabins set in the San Juan Forest with a view of Lake Vallecito. 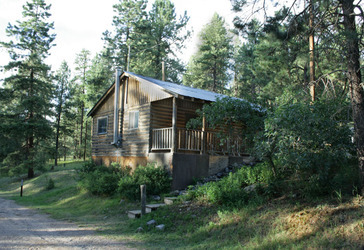 The cabins offer studio units up to three bedrooms that are comfortably furnished. 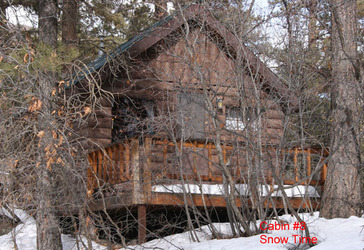 Enjoy the comforts of home throughout your fun and relaxing mountain retreat with any of the vacation cabin rentals. 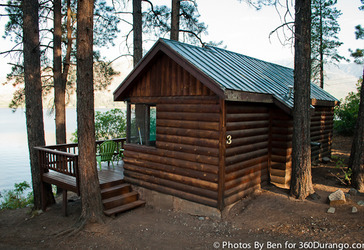 All lake cabins for rent include a full kitchen equipped with a refrigerator, stove, coffee maker, toaster, dishes, silverware, pots and pans. All rooms are comfortably furnished for the season and each private cabin bathroom also contains everything you will need. Choose from a wide variety of spaces, floor plans and prices to accommodate your family or group. You’ll experience beautiful hiking right outside your door! Camping excursions are also available at and surrounding these facilities. 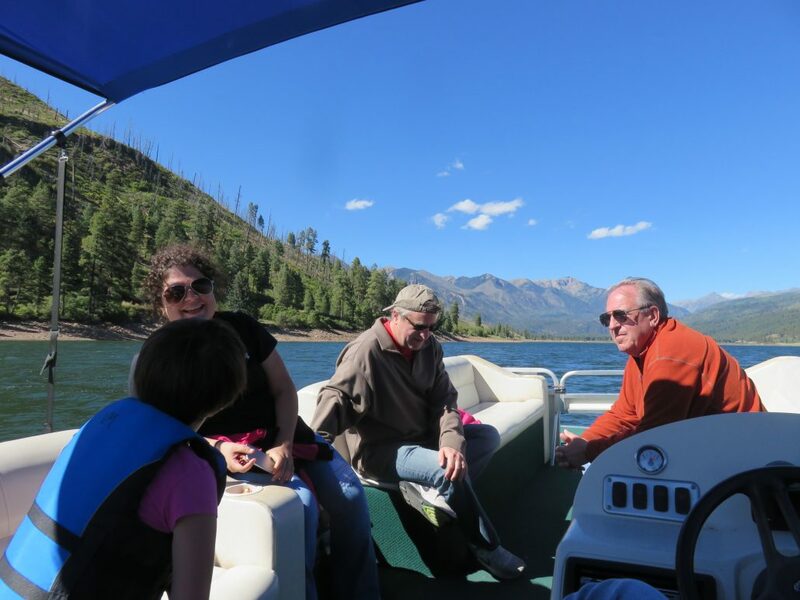 Lake Vallecito in Durango is perfect to experience by boat. Take a leisurely cruise around the lake as you observe the beauty found within Colorado’s nature. 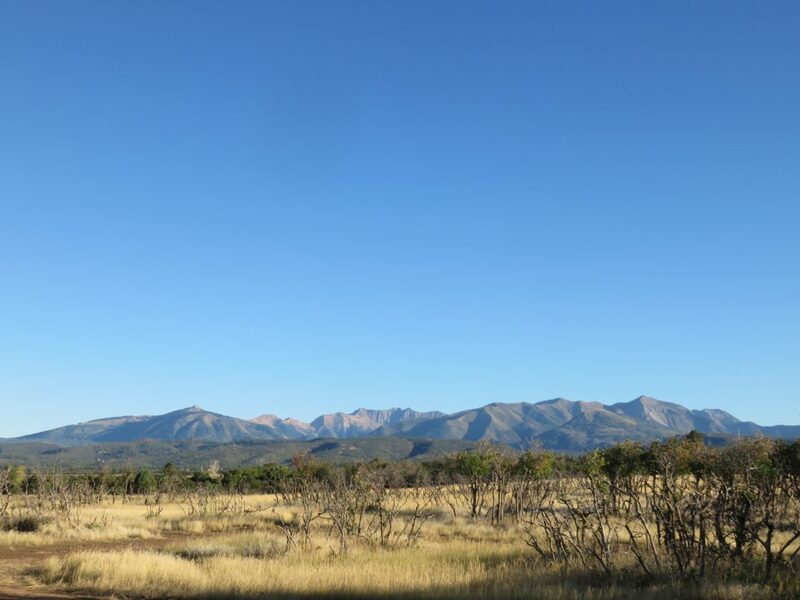 This little valley, as Vallecito was named for, has sparkling clear waters that meet the skyline of the San Juan Mountains. 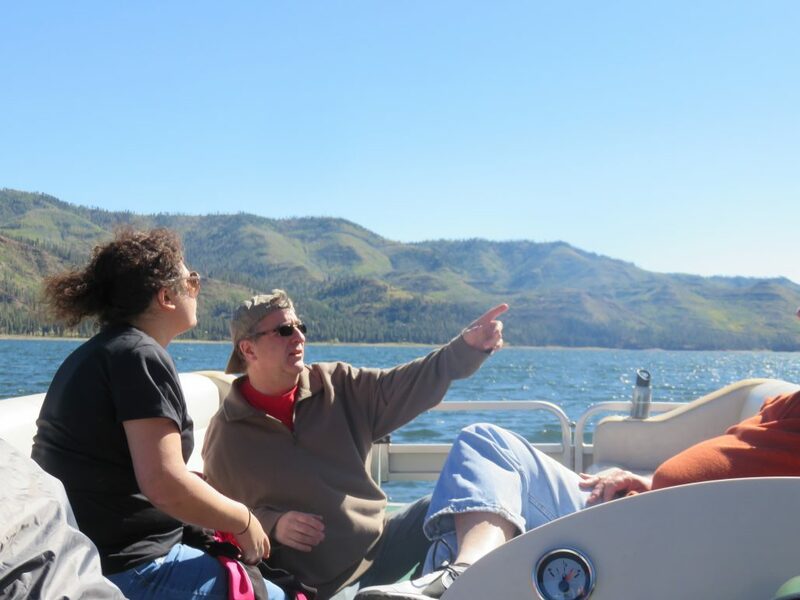 There is no better place to find a little relaxation on the water than while boating at Lake Vallecito. Did we mention this lake sits over one and half miles above sea level? 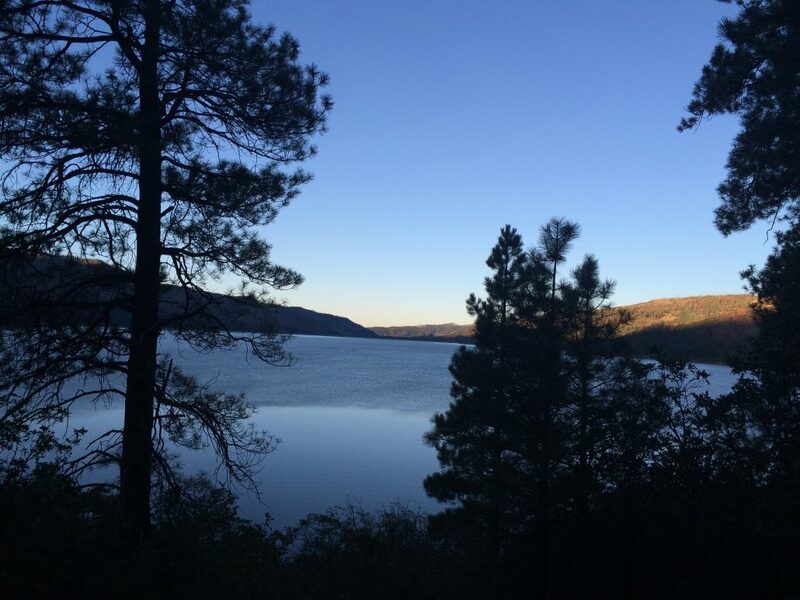 Grab a vessel and head out on Lake Vallecito for a fun paddling trip! By canoe or kayak, you’ll experience one of the most beautiful bodies of water tucked in the middle of the San Juan National Forest that Colorado has to offer. With 12 miles of shoreline to discover, paddling the lake might call for a short rest or picnic. 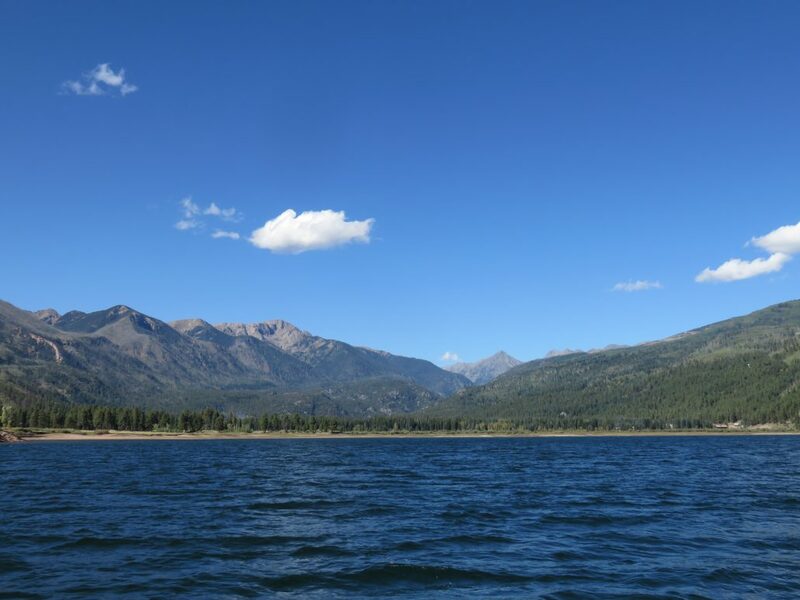 If you’re up for the challenge, combine your paddling adventure with fishing for the ultimate Lake Vallecito experience. Whether by vehicle or train, taking an eco-tour in Durango allows you to easily experience Colorado’s beauty. 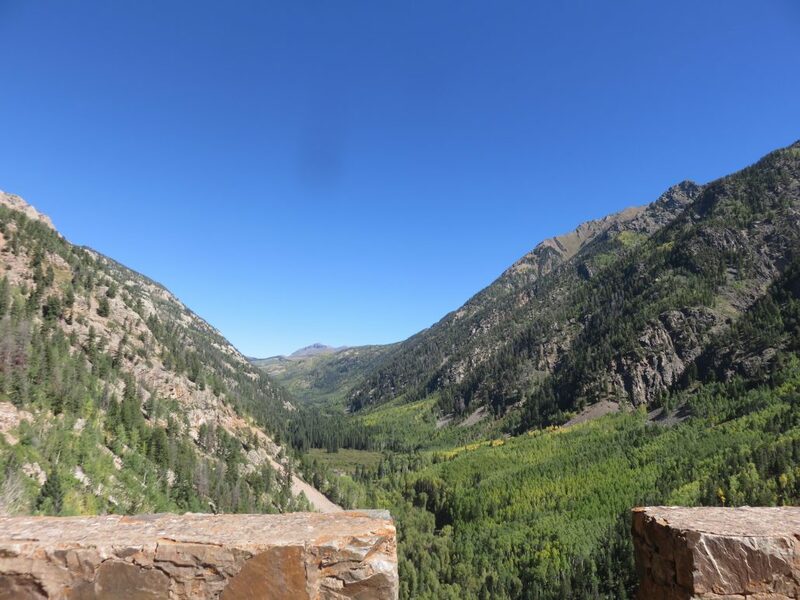 Sit back and enjoy the ride through some of the most breathtaking spots of the San Juan National Forest as you journey from Durango to Silverton. 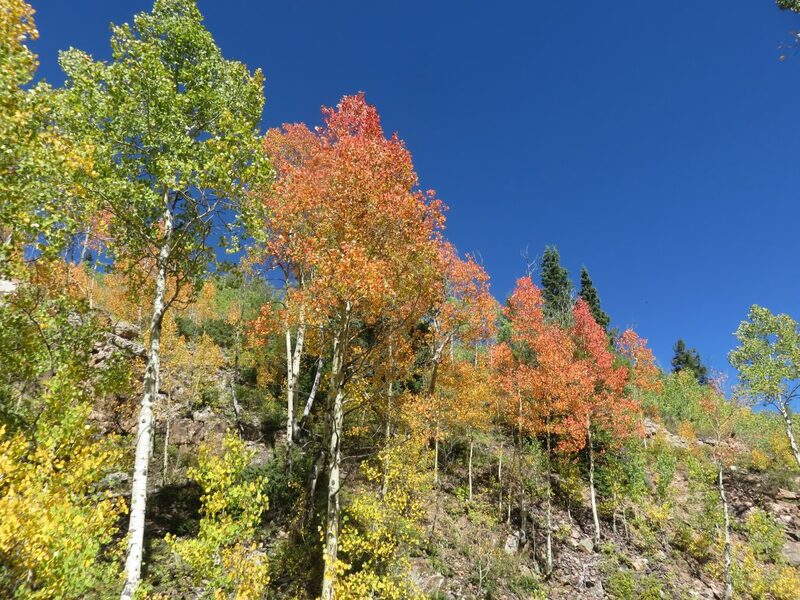 To encounter such beauty, you’ll travel through some of the most remote parts of this national forest, which encompasses nearly two million acres of Colorado! Fishing in Durango is a year round sport. 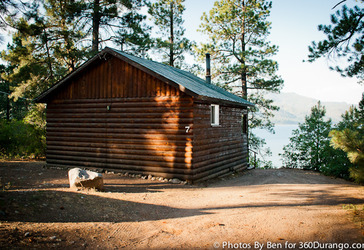 It all starts with 12 miles of shoreline of the sparkling clear Lake Vallecito. Here you’ll find fish species such as northern pike, brown & rainbow trout, and even salmon during certain times of the year. From shore, boat, kayak, or canoe, fishing is an easygoing activity that every one can enjoy. It’s even better when your catch of the day can be prepped, cooked, and served for your dining pleasure. 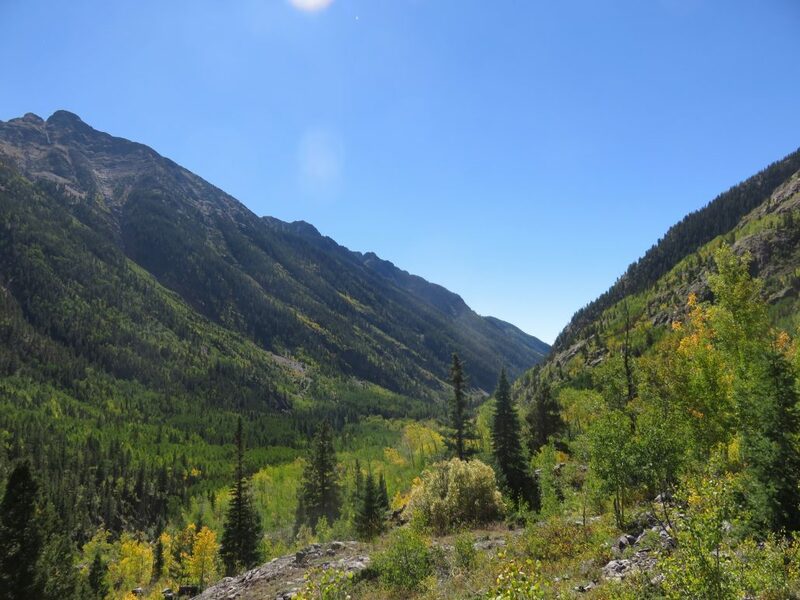 Clear your mind with a hike through the San Juan National Forest. 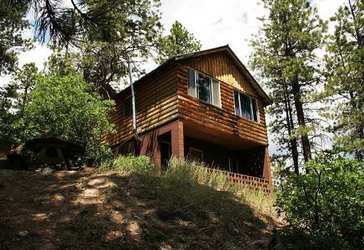 Hiking in Durango is great for hikers of all skill levels and offers a variety of treks. As you tramp through the forest, you’ll come face to face with nature. The layers, the mountains were formed from become exposed, valleys open up, and Colorado’s wildlife is at home. In springtime, waterfalls may be a prevalent sight from the winter snow melting. 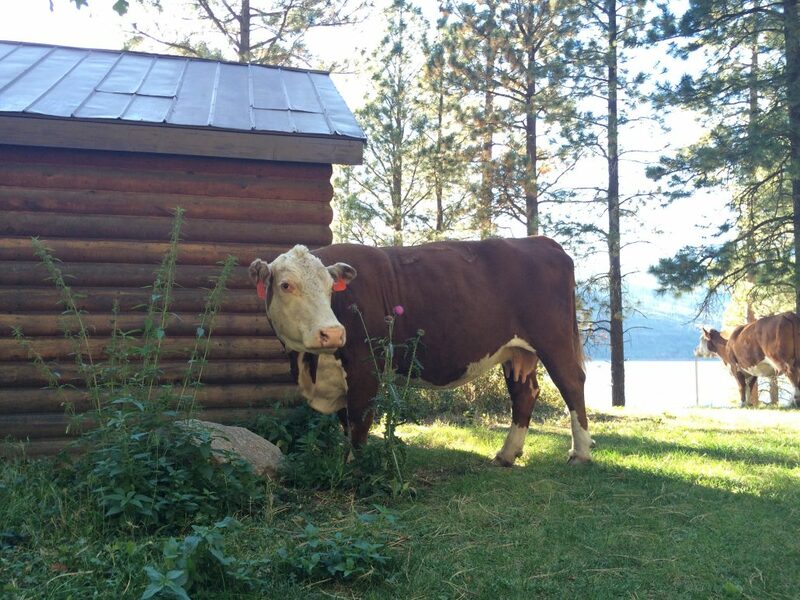 Saddle up and take a ride through the Durango countryside! Horseback riding in Durango gives you the opportunity to have an experience of western heritage firsthand. Meander through the San Juan mountain valleys on this ride while taking in the sights, crisp air, and calmness than comes from nature. After one trip, you’ll have a new appreciation for Colorado! This trek is suitable for all skill levels. 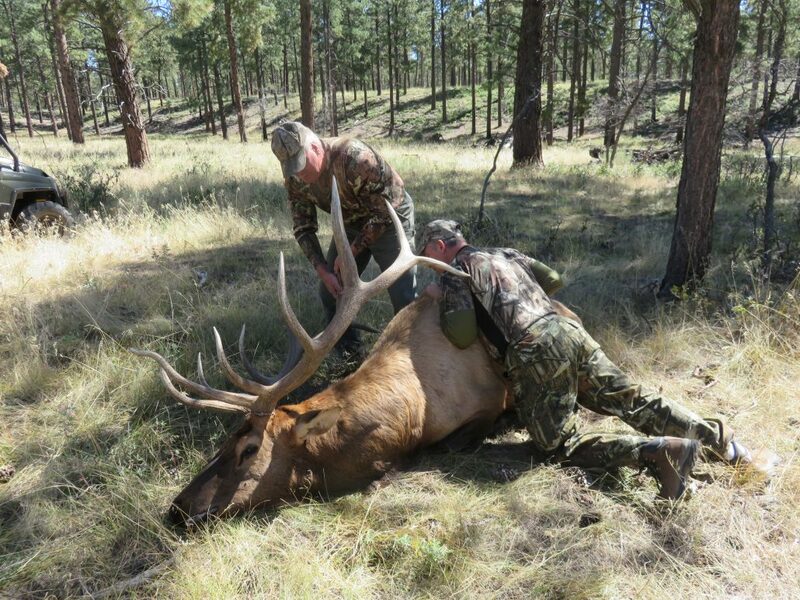 If you’ve been looking for an elk hunt of a lifetime, then this is it. 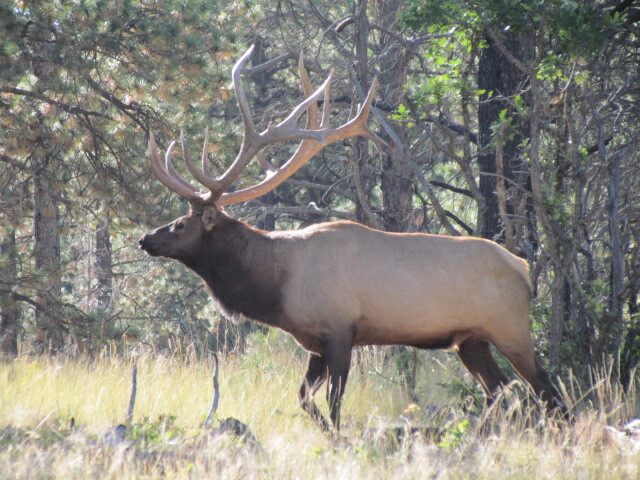 Venture a short distance from Durango to the land of elk. 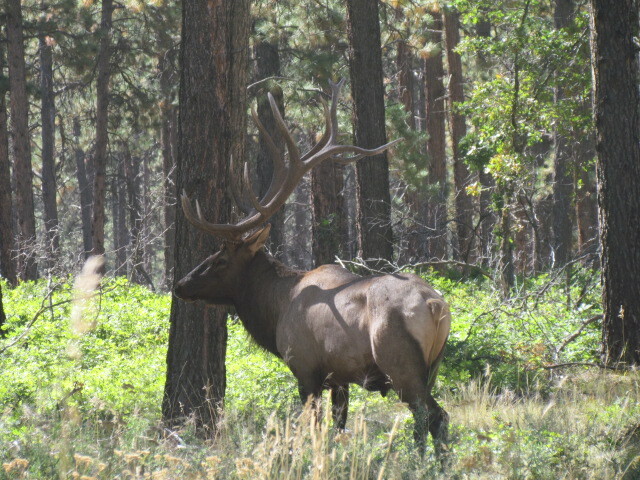 There is no shortage of elk sightings in this region. 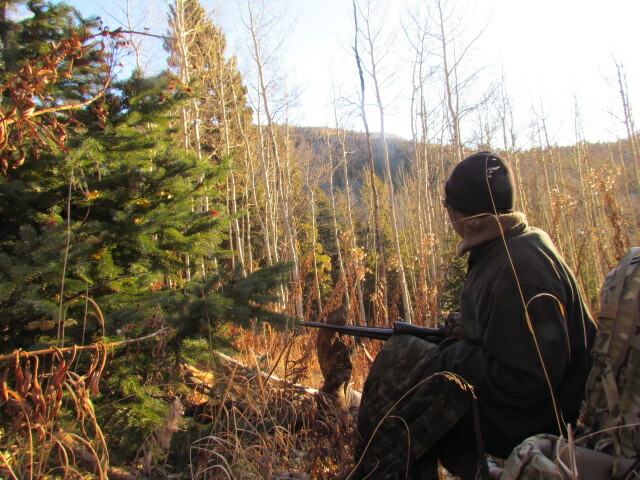 When your trip lines up with the rut, nature becomes your theater. 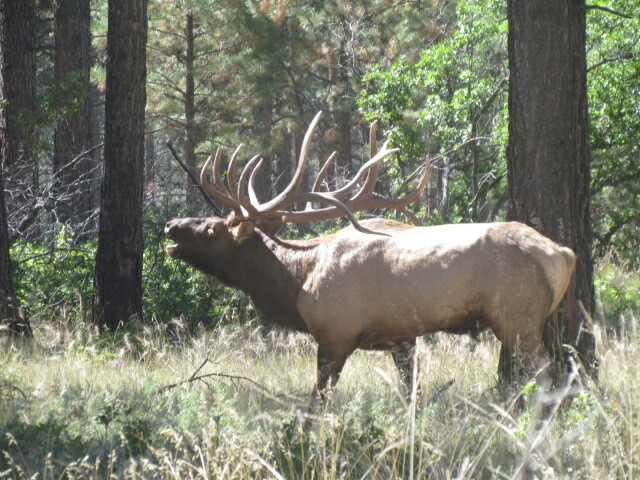 Watch closely as the once elusive bull elks step out into the clearings, to perform a show especially for you. It’s an incredible sight to watch as the animals interact with one another. 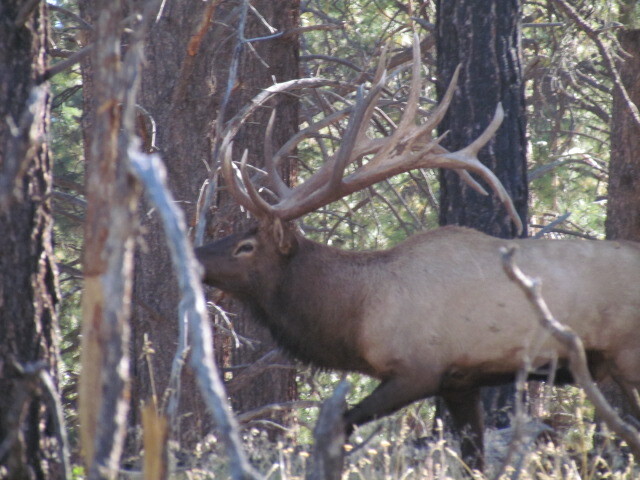 This is Colorado elk hunting at its finest! 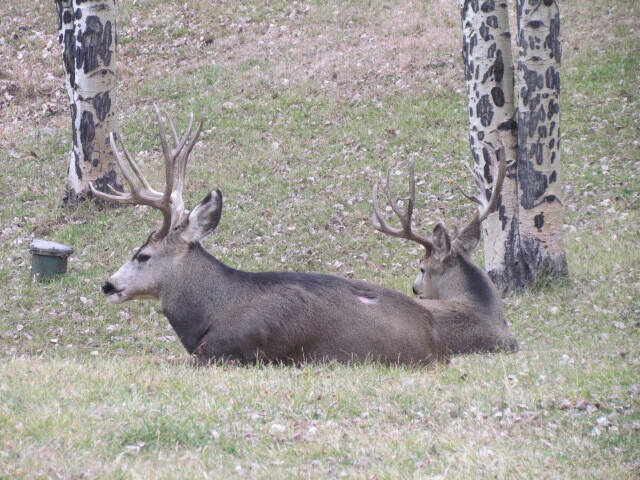 Whitetail deer hunting is also a great option for this region. 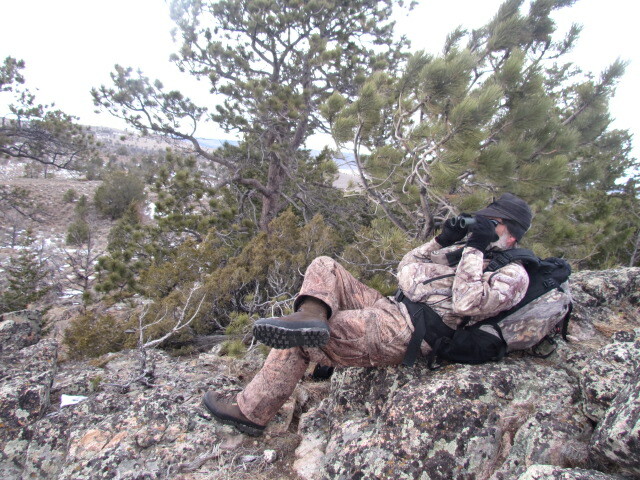 Shooting is not only for hunters! With Durango being filled with sweeping scenery from the wildlife, rivers, mountains, and flora, it’s time to get your camera ready. Spring and summer offer bright days with blue skies and multicolored fields of wildflowers while the landscape changes drastically as it approached winter. The fall season is what photography in Colorado was made for: to capture the changing of leaves, especially on the great aspen trees! White water rafting in Durango on the Animas River is an unforgettable experience! Your group will work together conquering great rapids followed by periods of calm floating. This adventure is perfect for team building. Although we try to make your trip as comfortable as possible, this is still a rugged adventure that may not be suitable for everyone. Sightseeing in Durango goes beyond the landscape. 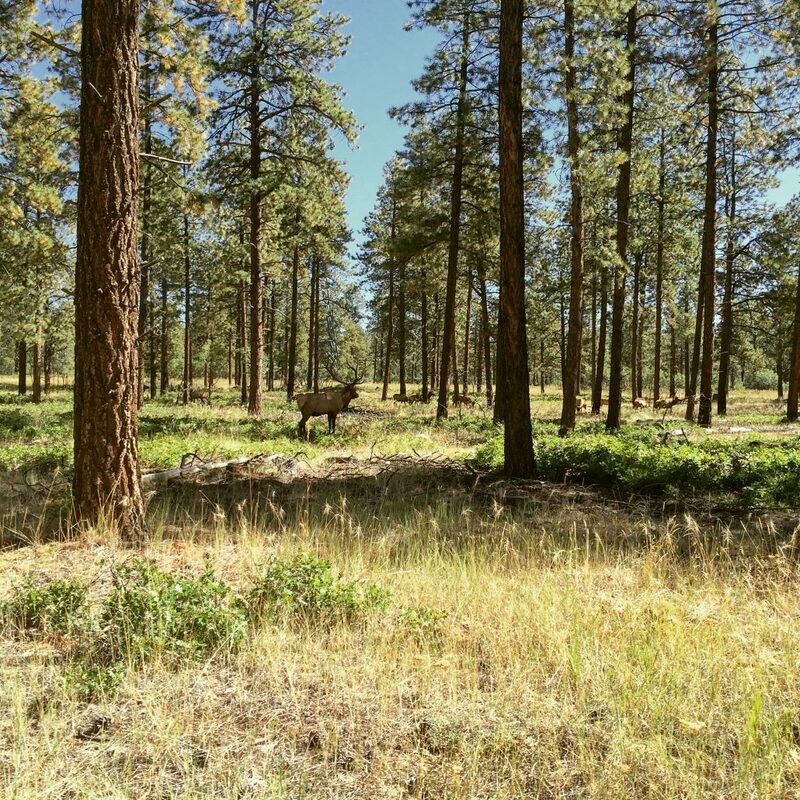 As your venture around Lake Vallecito, the tree carvings commemorating those in the 2002 fire can be seen. Downtown Durango you’ll find a small piece of history in the old western town. You might even catch a reenactment or rodeo!